SANFORD, Fla. (AP) — George Zimmerman was released around midnight Sunday from a county jail on $150,000 bail as he awaits his second-degree murder trial for fatally shooting Trayvon Martin. The neighborhood watch volunteer was wearing a brown jacket and blue jeans and carrying a paper bag. He met a man in a white vehicle and drove away. His ultimate destination is being kept secret for his safety and it could be outside Florida. George Zimmerman, the neighborhood watch volunteer who shot and killed an unarmed Trayvon Martin, was released from a Seminole County jail in Sanford, FL Sunday night at approximately midnight. Zimmerman had been charged with second degree murder in the shooting death of 17 year old Trayvon Martin. Last week the judge set bail for George Zimmerman at $150,000 bond. It was determined that Zimmerman was not a flight rick or a danger to the community. Trayvon Martin's parents have a 'heavy heart' now that neighborhood watch volunteer George Zimmerman has been released from a Florida jail on bail as he awaits his second-degree murder trial. Attorney Benjamin Crump represents Martin's parents. Crump said today that they would rather have seen Zimmerman stay in jail until he is tried for killing their 17-year-old son during a Feb. 26 confrontation at a gated community. Crump says Tracy Martin and Sybrina Fulton hope Zimmerman's freedom is temporary. George Zimmerman’s attorney said Monday that his client’s apology to the family of Trayvon Martin was ill-timed given the family’s previous statements, and he’s sorry if they felt it was insincere. During his bond hearing last week, Zimmerman addressed Martin’s family directly, saying he was sorry for the loss of their son. Speaking on “CBS This Morning” Monday, attorney Mark O’Mara said he didn’t realize the family would feel the apology came at the wrong time. “Had I known or been told that that wasn't the time, it wouldn't have happened. So, I apologize for that,” O’Mara said. Before the hearing, Zimmerman’s camp had reached out to the family to see if he could apologize privately. But Martin’s parents rejected that invitation during a press conference. George Zimmerman was released on $150,000 bail late Sunday night in what the Associated Press called a “low-key event.” Threats of death from the Twitter lynch mob were anything but low-key. WOW. This blows holes big enough for a cruise ship to float through in the girlfriend story. And so scary how the attys can manipulate the internet and media. Dee-Dee, Trayvon Martin's girlfriend, told a very short story, but a compelling one. It's how we first learned about the now iconic hoodie. But above all, it's the main source for the media's narrative of the Trayvon Martin shooting. Before Dee-Dee, we had only the unarmed teenager on an errand to buy Skittles and tea for the son of his dad's girlfriend. After March 20, we had some drama. Trayvon was chased by George Zimmerman. He was frightened and tried to get away. He thought he'd succeeded. But the racist cop-wannabe tracked him down and shot him. Shortly after he took on the case, attorney Benjamin Crump decided to launch a media campaign on behalf of his client. Crump could never have imagined what a success this would be. A story appeared in Reuters on March 7. "Wow!" said the producer of CBS This Morning after he was approached, "this has to be told." And so the shooting was featured on his program the next morning. It was picked up by ABC two days later. On March 16, when interest was flagging, the Sanford mayor was pressured to overrule the police and release the 911 tapes and Zimmerman's recorded call. Now the media had screams. Never mind that the one eyewitness had said it was Zimmerman screaming and that he himself had yelled at Martin to stop pounding the watch captain. Never mind that Zimmerman had injuries to his nose, his face, and the back of his head. The media convinced themselves that it was Martin who was screaming, and convinced those who get their news from Brian, Diane, and Scott. Former Police Chief Bill Lee Jr. announces to the media March 22 that he will temporarily step down as police chief of the Sanford Police Department. slideshow Sources have revealed to The Sanford Herald that former Chief Bill Lee Jr. will permanently resign this afternoon. City Manager Norton Bonaparte Jr. has confirmed that there will be a special meeting held with city commissioners today at 4 p.m.
Sources said that commissioners will discuss a severance package for Lee during the special meeting. Bonaparte would not confirm or deny a discussion about a severance package. Court unseals some records hours after George Zimmerman released on bond with GPS tracker early Monday. The newly unsealed court file offered bits of new information but little of substance. It revealed that Zimmerman has already pleaded not guilty, something that happened when defense attorney Mark O'Mara filed a written plea several days ago. O'Mara also demanded all the evidence the state has gathered against his client, something routine in criminal cases. What's important in this filing, though, is the likely delivery date: this Friday. In a typical case, that would mean that as of Friday, all the evidence would be released to the public as well as O'Mara, for example, crime scene photos, Trayvon's phone records, his autopsy results. But O'Mara and Special Prosecutor Angela Corey have made it clear they want to keep some if not all of those things a secret. There's a hearing scheduled Friday, a motion by media attorneys fighting to make sure the evidence does become public. Zimmerman is not expected to appear. While he awaits trial, he's expected to live out of state, but officials will be able to monitor his actions no matter where he is living while he awaits trial. Zimmerman had gone into hiding in an unknown location outside of Florida because of threats against his life. Court records show Zimmerman's arraignment was moved up to May 8, a hearing during which a defendant formally enters a plea. That, though, was made moot by his lawyer filing a written not guilty plea several days ago. At Friday's bond hearing, Special Prosecutor Angela Corey and prosecutor Bernie de la Rionda failed to convince the judge that Zimmerman should stay locked up. The judge ordered Zimmerman to wear a GPS monitoring device, give up any guns, abide by a 7 p.m. to 6 a.m. curfew plus imposed other restrictions. O'Mara surrendered Zimmerman's passport. According to the Seminole County website, Electronic Monitoring Protection and Crime Tracking program "provides real-time, 24/7 monitoring of offenders' whereabouts via GPS mapping. Offenders are subject to immediate arrest if they break the rules, for example leave the area where they've been ordered to stay or tamper with their monitoring equipment. I hope like hell GZ wins this. everyday it seems more and more that this really was a case for self defense. ORLANDO, Fla. (AP) — The Sanford city commission rejected the resignation of the police chief harshly criticized for his handling of the Trayvon Martin case. The commissioners voted 3-2 Monday to reject the resignation of Bill Lee. The majority blamed the uproar surrounding Martin's death on outsiders. Police did not initially charge 28-year-old George Zimmerman, a neighborhood watch volunteer who says he shot the 17-year-old Martin in self-defense. Lee temporarily stepped down as police chief on March 22, saying he wanted to let tensions cool. Documents are listed lower/left page. Thankfully, it appears there are folks there with some common sense. The police chief is on paid leave. Not too long ago, the commissioners gave him a "no confidence vote" that city Manager Norton Bonaparte said still stands. The shooting also led to the local prosecutor recusing himself from the case, and the governor appointing Angela Corey, who eventually charged Zimmerman. The majority of commissioners on Monday blamed the polarization over the Martin case and its handling by the police department on outside groups. Lee had supporters at the meeting who wore, "Bring Back Billy" T-shirts, though there were detractors as well. "I'm disappointed but not surprised," said Velma Williams, the lone black representative on the commission who voted to accept the resignation. The majority of commissioners said they wanted to wait for an outside investigation to conclude into the handling of the case by police before accepting the resignation agreement drawn up by the city manager and Lee. Commissioners in reading from the agreement said Lee didn't want to step down, but thought it was for the best. The city is also looking to find a permanent interim chief, perhaps as early as next week, Bonaparte said. An attorney for Trayvon Martin's family believes the son's shooter is lying about injuries he sustained the night he killed the unarmed 17-year-old. "If this is any indication of what's to come, then the lying has already begun," attorney Ben Crump told reporters on Sunday, while promoting a documentary at the Florida Film Festival on another case. Crump took aim at Zimmerman's defense after it seemed to gain momentum on Friday.ABC News obtained a picture that appears to support Zimmerman's claim that Martin attacked him before he fired the shot in self-defense. The picture shows Zimmerman's bloody head wounds and was reportedly taken just after the confrontation. However, Crump quickly discounted the image and anything else Zimmerman claims. "When you look at those pictures and you see those two little cuts on his head, that is not consistent with your head being pounded into the pavement," said Crump. "Objective evidence, evidence we can see and touch, is more important than whatever George Zimmerman says because we have to remember Trayvon Martin isn't here to tell us his version of what happened." Crump pointed to the 911 call where someone is heard screaming before the fatal gunshot. But in court on Friday, Zimmerman's attorney Mark O'Mara raised doubt about who was screaming on that call, poked holes into the charging affidavit, and even stumped one of the state's investigators. With Zimmerman's pending freedom, O'Mara said they will now be able to prepare the case together to build an even better defense. That freedom isn't easy for the Martin family. Earlier on in the case, Trayvon's mom made it very clear she was upset because George Zimmerman didn't apologize for shooting her son. She said when someone does wrong, (not exact quote) they should apologize. George Zimmerman apologized to his parents in court, but she wouldn't even look at him. And I guess now the apology wasn't good enough. Nothing will bring back her son. It's my belief that even if George had gotten down on bended knee and expressed his sorrow, it wouldn't have been good enough. I think Trayvon's parents are under pressure not to cave in. They are pressured by certain people, including Al Sharpton etal to keep the fires of hatred burning. 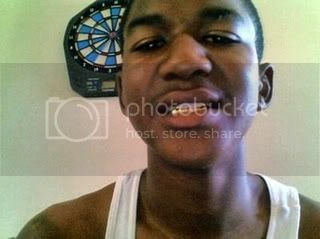 For Trayvon's parents to show anything short of disdain toward George Zimmerman would get them a rebuke behind doors. Sort of like when Trayvon's mom said on Today's Show the shooting was an accident. And then that got changed Trayvon was profiled and the meeting of her son and George was an accident. I can't wait till we get more info on all of this. Page created in 6.167 seconds with 19 queries.